What is Crystal Healing or Crystal Therapy? Crystal therapy is a very old healing method where the client has crystals placed on their body and the placement of power crystals in the room. Assortments of crystals or chakra stones are placed on or around a fully clothed person. This helps to release stress and pain and in turn promotes a deep relaxation. The crystals are used individually or as crystal grids or patterns. They are positioned on sites of pain or energy vortexes called chakras Crystal therapy addresses the client issues in a holistic manner, giving as much consideration to his or her spiritual and emotional well-being as to their physical health. Crystal therapy is a very relaxing, natural and enjoyable process that is carried out in a non-invasive way. Whether you believe in the physical healing properties of crystals or not, just wearing crystal jewellery or holding a crystal can be very relaxing, calming and soothing. Some crystal therapists will use crystal wands in their crystal healing sessions. The crystal wand can be used to heal the whole body or aura, or they can be used on a particular area of the body, or on a specific chakra. Scientifically speaking, there is no evidence that crystal healing works or any evidence to support the effectiveness of crystal healing on a medical level. However, crystals have been used, and enjoyed for several thousands of years. Many people believe in crystal power, and crystals can be used to influence your moods, health, spiritual development, and relationships. You will find lots of Crystals for sale and examples of rare and high vibration crystals, crystal angels, crystal Buddha’s, crystal carvings, crystal pendulums, crystal skulls, crystal spheres, crystal wands, shamanic crystals, master quartz crystals and tumbled stones. Crystal therapy is a gentle form of alternative healing that works holistically to balance the mind, body, and spirit, helping with your feeling of calm and tranquility. Crystal healing helps to defuse negative energy, lifting the feeling of depression. I'm a registered practitioner of the Affiliation of Crystal Healing Organisations. This organisation was formed in 1988 by a group of crystal healing organisations to promote training and competence in crystal healing therapy and to act as a nationally recognised representative body for crystal healing. Would you like to know more about crystal healing ? Here at KSC Crystals, I take great pride in personally selecting the most beautiful crystals I can find on this planet. Knowing that each of the crystals I choose will bring a special meaning and vibration to the owner that is seeking it. Also, some of you may know that not only am I a crystal seeker and healer, but I also taught crystal healing. So when the online course provider Centre of Excellence approached me and asked me to look at their Crystal Healing courses, I was happy to oblige. Having read through them, I can wholeheartedly recommend these comprehensive accredited courses. Part of my crystal healing course asks the candidates to give an overview of how Crystal healing works. How does Crystal healing work ? Having looked at several books by various authors, on crystals and crystal healing, they covered many common introductory topics, and often agreed on a variety of points. The essence of the ideas is pointed out below. Judy Hall: describes crystal healing, Shamanic roots – explanation holistic – Chakras control in the electromagnetic field- disharmony. Jennie Harding: describes crystal healing Emphasis on colour healing and energy with light – ritual –all is energy. Robert Simmons: describes crystal healing Detailed atom work – structure – energy – crystalline links. Sue and Simon Lilly: describes crystal healing Atoms involved with pattern – linked to essential number – linked to cosmic connections – energy. Melody: describes crystal healing Historical/shamanic – civilizations & ritual knowledge - New Age thinking – blending resonation. You can explain the effect of crystals on the human body in so many ways. Looking back over all the notes, my opinion is, it depends on how much depth of information is needed for the particular individual asking. This has also been made apparent when I have been working with people. The authors all say similar, describing crystal healing, but come at it from different perspectives. Their words are relative to where they are in time, and the person reading it is either satisfied, or moves on to find a deeper or clearer meaning and explanation, that fulfills their own need, at that time. Having looked back at my collection of books, and my own situation, I have built a selection of books that have led me up a staircase of knowledge, to much more in-depth evaluation, starting from a long while ago. This progression is appropriate to the stages of my current understanding, at each point in time, and now. When it comes to the uses of each stone in crystal healing, I now have learned that it is a much more personal response and no one else can really replace your bonding and working partnership with the crystal. The interaction with the client, and knowledge of their current personal ‘state’, also the resonance between the 2 people, cannot be covered in a blanket usage statement. I feel this stifles creativity, intuitive response and the extension of personal development and confidence. Maybe some need this to start their journey, and others who like to function as part of a larger unit and use tried and tested crystals that produce hopefully, specific results. They may be taken by surprise though. If you look at all the uses for crystal healing given by several specialists, as I have, you find that they say each stone does everything. There are certainly specific crystals that they all definitely agree with e.g. Malachite – good for Arthritis. So where does this leave the reader? At the understanding that it is the personal experiences in usage, that are memorable that can be added to a sound basic knowledge. A crystal is made up of regular atomic particles, all placed in a very specific formation depending on the crystal type. This creates the solid item. 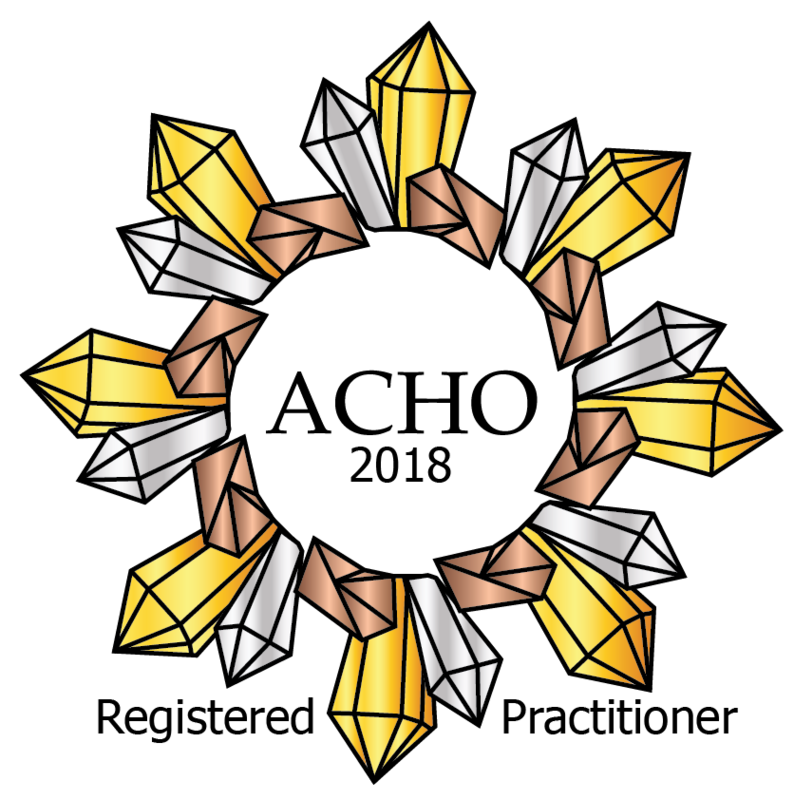 Each crystal is unique in its structure. Everything has been found to contain these basic building blocks, even down to the planet we are living on, but structured very differently, and these atoms emit an energy that is initially completely in harmony with all its surrounding cells, relevant to its location and interaction with other fields. Bio physicists have found a human has (within its DNA) identical atomic structures, that form not only the blue print for the physical form, but also all major characteristics. They suggest that humans, and other organisms, are liquid crystals, displaying a more complex pattern and rhythm than the solid form. If these structures are put under strain or pressure, stress or bombardment, they change /mutate or distort, emitting different irregular pulses or oscillations creating dis-harmony. They can become polluted in many ways, and start to become dis-ease. Due to the inter-relationship between crystal and human, the constant pure vibration of the former that has a constant energy with a specific rhythm, can help re-align/adjust/influence or repair these damaged areas of the human electromagnetic field. These fields have now been recognised and accepted by orthodox science. This therapy creates a personalised effect with each individual, as the person is laid/sat within a specific layout of crystal energy. These crystals subtly adjust to one another and then work on the energies placed within, working on the dis harmonies, trying to recalibrate them. This can be on many levels, physical, mental, emotional, spiritual, future & past lives, Karmic, universal. We are all part of a large orchestra of harmonious energy fields that inter relate. This can be viewed as the big picture – Galactic space scale – or the tiny picture on micro/macro scale. A whole new topic in itself shows itself here. This is way complex to say all in one go to anyone who asks, and could be broken down, parts spoken over time, if necessary. This is not to say they are stupid. Smaller pieces of information that click together, once an initial thought form has been planted, are easier to digest. It has to be for appropriate people. It sounds scary. It could be far too much for some people and would sound totally lunatic. Making crystal therapy seem only for the intellectual, the esoteric, or the insane. You could simplify the above and try not to scare off the potential client. There are the other aspects of this therapy. Ritual, Shamanism, Classic Civilisations. If you look at all the many early civilisations that used this method to help their people. Greeks, Persians, Atlanteans, Lemurians, Aztec, Mayans, Africans, Egyptians, Chinese. They used a consistent pattern of behaviour, sounds, situation, or place, to heal. By making the ‘real world’ mind move out of the way, and helping the shift in consciousness this allows a new perspective on the situation. To go deeper into the self, below the surface of rational and thought. This ritual helps the ‘knowing’ to surface and allow the entire mind to be involved. It uses all the non-verbal senses to talk to the whole mind in a way it knows best. (Movement, sound, smell, taste, touch, and see). You can liken this too a simple everyday act of getting ready for bed. Following a pattern of behaviour every night, allowing winding down of the physical and mental, down to the position of the body in the bed. Most people follow the same routine each day, each week, each month. Some people cannot sleep on the other side of the bed etc. This allows the body to go into the sleep state, and do what is necessary for the body during the night. If by chance we are ill or worried and our sleep pattern is disrupted, we suffer greatly and try all means possible to adjust it back again. As this is a natural format then where does the Shamanic part come in? If you look at meditation, an altered state of mind is needed to achieve the brain rhythms. To deconstruct the psyche, look at it, then reconstruct, or reflect on personal patterns, one needs to get the ego out of the way and have an uncluttered mind. Working in symbols is often the way this goes, but not the same symbolic alphabet as dream work. This can be done alone, knowing what you are doing and able to record what has been seen etc. and being able to make your way back to the ‘real world’ safely. It can be a group type. It can follow a belief system. It can be classed as worship. It can be called healing. When someone else does this in a 1 – 1 situation it could be called Hypnotherapy. It can be done with no talking and just using Art work. The facilitator allows the mind to follow the pencil. Appropriate open questioning leads the way to different landscapes. In a healing situation, a specific place, time, pattern of language, smells, sounds, can all help induce this change of brain wave. This is where the experience of the therapist is essential. Knowing the tools of their trade and using them effectively. I think the intention is extremely important, and is a vital factor in this equation. One point though, whether it is Sound healing, Crystal healing, or Acupuncture, the individual on the bed is the one who is responsible for letting go and seeing things from another angle, or allowing other healing systems help them to re align their body temple to its correct vibration. They are the ones who have to take responsibility for healing themselves. Not expect the external elements to ‘mend’ them as is sometimes seen in allopathic medicine. In a break neck world where people take very little time to remove themselves from assaulting vibrations in the form of people, places and things, the ritual of going to a regular therapy session can be the change of scene, and simple ritual, that starts the path to re alignment. Simply turning off the phone and lighting a candle is a start, but is better as an adjunct to a regular slot of ‘deeper’ timelessness. This is part of the crystal experience, and involves colour, shape, travelling, pictures, conversation, or just peace. If the room is set up right, the elements needed in place, the protection, the connections, the sound, the trust, this worked on to become a calm but powerful ally repeated each time, allows the maximum of effect from the chosen therapy.